Horses carrying equine herpesvirus (EHV) may exhibit signs as minor as a runny nose and mild fever, but the virus is a major cause of neurological, respiratory and reproductive disease, including abortions, in the equine industry. Horses are often infected early in life and EHV can remain in the body for life, reactivating at any time, but it’s not clear what causes this to happen. Something pushes it over the edge to disease manifestation, explains Dr Brandon Lillie, a pathologist in the Department of Pathobiology at the University of Guelph’s Ontario Veterinary College (OVC). While vaccination is recommended to protect against EHV, the virus continues to occur in vaccinated herds. Affected horses may abort their foals or foals may be born apparently healthy only to die a short time later. A research team led by Lillie and Dr Luis Arroyo, a clinician and researcher in OVC’s Department of Clinical Studies, are trying to better understand how the virus exists in the horse population, uncover what triggers the virus to cause disease and assess ways to maximize current EHV vaccination efficacy and minimize the virus’s effect on the horses’ health. In particular, they are focusing on the abortive effect of the virus. EHV can present in several ways, explains Arroyo. Horses may demonstrate neurological signs; they may have difficulty walking, they may have difficulty urinating because the nerves to their bladder are inflamed, or they may exhibit milder symptoms like a runny nose, or no symptoms at all. A mare may not show clinical signs of the virus at all, but could lose a foal who is loaded with the virus, he adds. 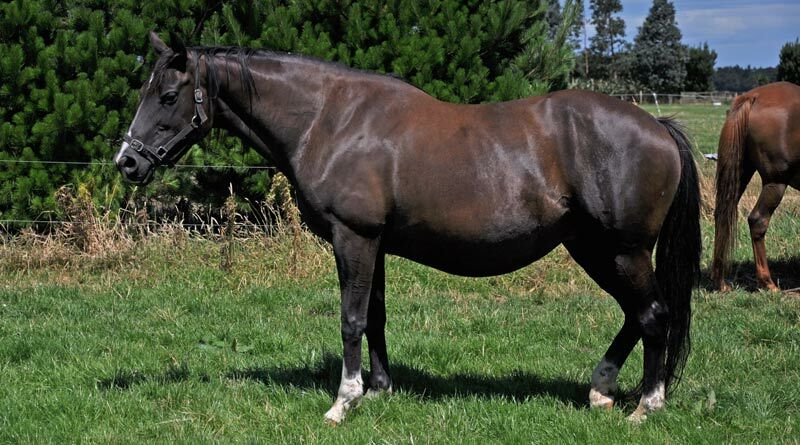 Conversely, some mares may be clearly diseased but their pregnancy isn’t compromised. The cyclical nature of the virus is part of the challenge. Farms may report no abortions for a couple of years and then suddenly they have two or three. The researchers began with a survey of Ontario horse farms to better understand the current state of the industry, looking at herd sizes, abortion rates and prevalence of EHV-related diseases. Beginning in December 2016, they began sampling horses on farms across Ontario – from Ottawa to Windsor and Sudbury to the Niagara Region. The farms include large racing operations with dozens of mares to smaller farms with two, three or six mares. “We are focusing on the mares because that is the major way that foals get infected. We think that’s an important area to look at and understand,” Lillie said. Horses on each farm will be sampled six times over 12 months, essentially covering the entire gestational cycle of horses. Lillie and Arroyo are also examining the best way to sample for the virus, looking at nasal swabs, vaginal swabs and blood samples. “If a mare is shedding are there different levels in different places, are you better to swab a horse’s nose or to take a blood sample?” asks Lillie. They will test the samples for presence of the virus or viral DNA levels and also look at serology, the mare’s antibody level or immune response to the virus. Using this information, researchers can then determine how prevalent the virus is, the impact of vaccines on the virus and the mare’s ability to mount an immune response. On the farms being studied, there is also a fairly even split between those who vaccinate and those who don’t. Another area they will assess is how the antibody response pattern changes with horses throughout the year. Preliminary evidence suggests not all mares respond the same way to the virus or have the same antibody level patterns over the year. The host, the pathogen, the farm’s management strategy and the environment all contribute to the occurrence of disease particularly when a virus is there all the time, adds Lillie. Funding for the study has come from the Ontario Ministry of Agriculture, Food and Rural Affairs and a University of Guelph Catalyst Grant, as well as funding from Equine Guelph and the Zoetis Investment in Innovation Fund.